Located in the north-east of France, Alsace takes us to the heart of a mixture of history, culture, gastronomy and all kinds of activities... everything you need for a well-rounded holiday. When it comes to food, the region really knows how to spoil its visitors: sauerkraut, flammekueche, baeckaoffa, kougelhopf, add some Munster cheese and a local beer and you'll have an idea of what awaits you on this trip. You will also have the opportunity to visit some Alsatian breweries. As for Sylvaner, this light-coloured grape has a delicate taste and attracts both experts and the curious to the oldest wine route in France. Stretching over more than 100 miles, the hills covered with vineyards, strewn with charming little villages, represent this region full of character. Fauna and flora play an important part at the heart of the Petite Camargue Alsacienne, which is home to dragonflies, fish, tree frogs and ash-covered peaks, which make this site the most important protected nature reserve in Alsace. History has played such a significant role in this French region that it still preserves German and Austro-Hungarians influences, making it quite unique. Home of the Marseillaise, it was the birthplace of Kléber, Kellermann and even Dreyfus. It is famous for some of its attractions too though, such as the Toy Museum in Colmar, the Unterlinden Museum, and the Car Museum in Mulhouse. To learn what life was like in Alsace in the olden days, go for a visit to the Eco-Museum of Alsace. It should be noted that the regional traditions still play a major role in the local culture. Half-timbered houses and other types of Alsatian architecture, such as the Maison Kammerzell, Maison des Tanneurs and Buerehiesel in Strasbourg, are reminders of the character of the region. 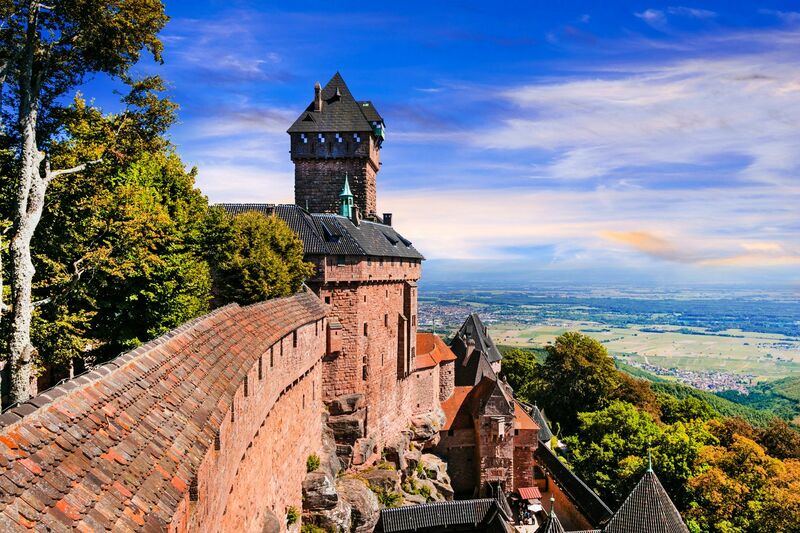 The Haut-Koenigsbourg Castle, Strasbourg's Notre-Dame Cathedral and Mont Sainte-Odile, for their part, testify to a rich heritage. At the end of the year, the incredibly popular Christmas markets begin. However, there are many other festivals taking place throughout the year, giving visitors the chance to see this part of France in another light. To get away from the crowds, there are plenty of activities linked to the great outdoors in Alsace: hikes following the footsteps of the bonhomme de pain d'épice (Gingerbread man), kayaking, golfing, or even hot air balloon rides and microlighting, which will let you fly through the sky like an Alsatian stork. From Strasbourg, with the headquarters of the European Parliament and the Council of Europe, to Colmar, with its Venice-like feel, via Mulhouse and its historic centre, and even Guebwiller and Molsheim, Alsace holds countless ideas for excursions. At the heart of Europe, a detour through this beautiful region might just leave you stunned. In summer like winter, Alsace is a tourist destination with plenty of attractions. In summer, from June to September, the low Vosges mountains are ideal for hiking, just like the many forests all around the region. In autumn, nature displays an array of extraordinary colours and the Alsace wine country is worth visiting for its landscapes and bustling activity. 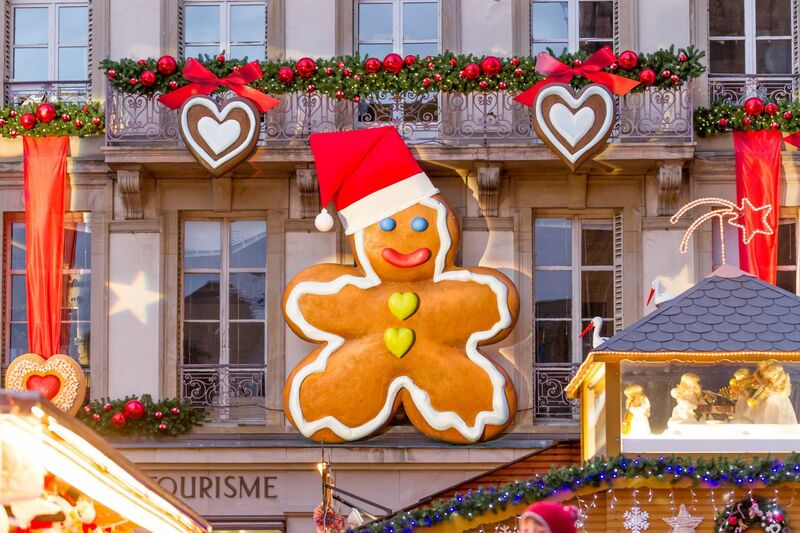 The liveliness continues on into winter with the Christmas celebrations and Christmas markets of Alsace (Strasbourg and Colmar to name but a few), which are famous around the world. In fact, this is the time of year for which you really must book your accomodations well in advance. The region attracts thousands of visitors every year around Christmas Eve. Winter is, of course, the season for skiing and Alsace has plenty of family-friendly resorts that fill up with fans of cross-country skiing and novices of downhill skiing. More athletic skiers will prefer the slopes of the Alps or the Pyrenees. All year long, this region in the east of France is full of places to see and things to do. This includes its nature side, as we have mentioned, but also an extraordinarily rich heritage. At the crossroads of Europe, Strasbourg (only 2h 20m from Paris, 2h 50m for Colmar and 3h for Mulhouse, all with the TGV, and direct links to Lyon, Marseille and Avignon), with its cathedral and 'Petite France', and Colmar are two urban destinations that are ideal for a short stay. Another strong positive point of this region is the cuisine, which will delight the taste buds of all those who like to eat well thanks to the local specialities, which include sauerkraut and flammekuche, to be enjoyed on the spot, and kugelhopf, pretzels, Strasbourg-style sausages and various cheeses (like Munster) that tourists can bring back to share with their friends after a stay in Alsace. Allowing you to discover the entire region by combining nature and cuisine, the Wine Route is a great and unique way to discover this region where the production of white wine has risen to an art form. Find weekly weather forecasts for Alsace . Different criteria make it possible to predict with precision the best time of year to go to Alsace . A comprehensive weather score, made up of temperature indicators, bad weather predictions, sunshine levels and wind speeds, will allow you to choose the activities best suited to the weather conditions and therefore make the most of your holiday in Alsace .